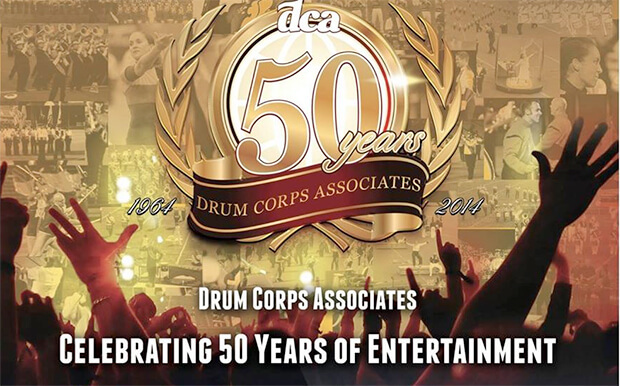 The world's best all-age drum and bugle corps will head to Rochester, New York, over Labor Day weekend for the 50th anniversary edition of the Drum Corps Associates (DCA) World Championships. After two years away in Annapolis, Maryland, DCA makes its triumphant return to its familiar home at Sahlen's Stadium, as more than 20 corps from across the country get set to square off in several events scheduled Aug. 29-31. Great tickets for this golden anniversary series of DCA World Championship events are still available, and if you can't make it to Rochester, select events will be webcast live on the DCA Fan Network powered by Drum Corps International. Individual/Ensemble & Mini Corps Competition + 2014 Street Party! For those who can't make it out to Rochester, Drum Corps International will once again power live webcasts of select DCA Championship events on the DCA Fan Network. A $69.95 season-long subscription will give you access to Video On Demand as well as the live webcasts of the 2014 Prelims competition and the Alumni Spectacular. Subscribers will also receive a $15 discount on the pay-per-view option to watch the Finals competition on Sunday.